We facilitate Small loans to people in Bon-Repos, Haiti to help them support themselves and their families. The small business loan is a frequent request by participants in our adult literacy and child sponsorship programs. With a small loan ranging from $50 - $150, our participants who live in extreme poverty, will receive training to start up or further develop their business. They often cook and sell food, and buy and re-sell a variety of products such as eggs, fruits, vegetables, bread, and other products at their home or at the market. Haiti is the poorest country in the Western Hemisphere and among the poorest countries in the world. Two thirds of Haiti's eight million citizens live in poverty and half of its adult population is illiterate. Only a quarter of its children attend school. Jou Nouvo seeks to improve the quality of life throughout the targeted neighborhoods where we work. We are providing children and adults with the tools of education, access to basic health care and instruction, as well as promoting economic stability through our small business loans program. 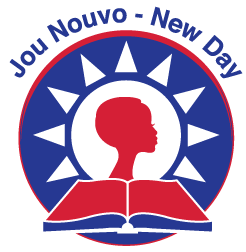 Jou Nouvo is committed to forming partnerships with talented individuals and established institutions in order to rejuvenate the community in Bon-Repos.